Baleage, known as baled silage or haylage, is a method used for conserving and storing high-moisture forage. Making hay can be troublesome because of weather conditions, which can delay harvesting at the correct forage maturity and results in dry matter (DM) losses of up to 30 percent or more and loss of forage quality. All of these factors reduce animal performance and increase refusal rate at the hay ring resulting in high amounts of waste. Baleage can reduce some of the time challenges to making hay by reducing the time needed to bale harvested forage (1 to 3 days versus 3 to 5 days with hay). Baleage is a type of silage, meaning it is a fermented forage product that is created when moist forage is stored in the absence of oxygen (anaerobic conditions). 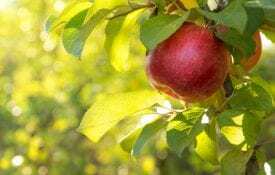 Naturally occurring bacteria on the plant surface consume some of the readily available carbohydrates and produce organic acids. These acids decrease the pH of the forage, preventing the growth of molds and toxic bacteria and preserve the product for later use and feed out. Forages that are high in water-soluble carbohydrates, such as annual ryegrass, small grains, and sorghum, generally make a better quality baleage product. Grass-legume mixtures are also easily ensiled because of the high sugar content of the legumes that ferment better in anaerobic conditions. 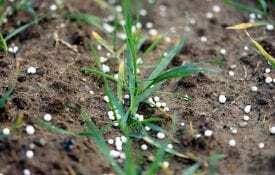 If forages are low in water- soluble carbohydrates, silage inoculants can be used to aide with ensiling. The carbohydrates in the plant ferment to produce acetic and then lactic acid that impedes the development of unfavorable products, such as yeast, mold, and toxic bacteria. Grasses should be harvested at boot stage and legumes at 10 percent bloom. 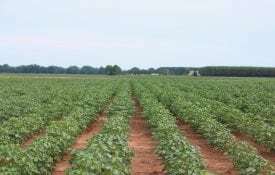 Fields with more than 30 percent legumes can be difficult to ensile because of their ability to resist pH decline through the presence of buffers. Ensuring proper moisture at baling will assist the fermentation process under these conditions. Once cut, forages should be left to wilt in the field before baling. Forage wilting times vary based on forage species, forage yield, temperature, and humidity, but should be 12 to 48 hours. Forages such as annual ryegrass may take more time because of their greater forage moisture content. After 48 hours of wilting, forages will become slimy and palatability will be reduced. The optimal moisture is 40 to 60 percent with 50 percent being the target. Any level above or below the optimum moisture content can result in spoilage, combustion, and lower nutrient value of the baleage. The rate of wilting depends on forage species, swath thickness, maturity, and drying conditions. Along with reduced drying time, comes less DM losses. Baling high-moisture forage reduces leaf shatter and reduces the amount of raking or tedding needed, which increases forage quality and decreases the labor cost compared to dry hay production. Bales should be wrapped within 2 to 4 hours of baling with polyethylene plastic film that is prestretched to 50 to 70 percent. 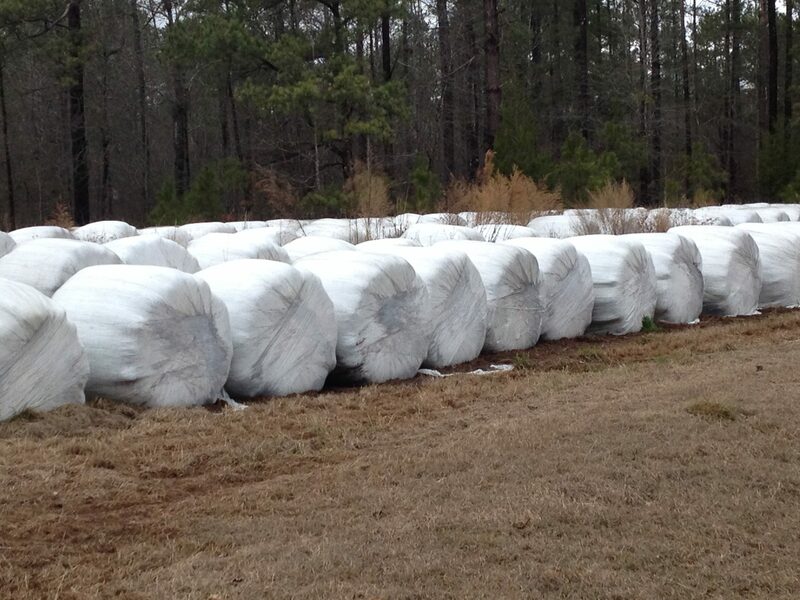 Wrapping of all bales should be completed within 10 hours of baling. 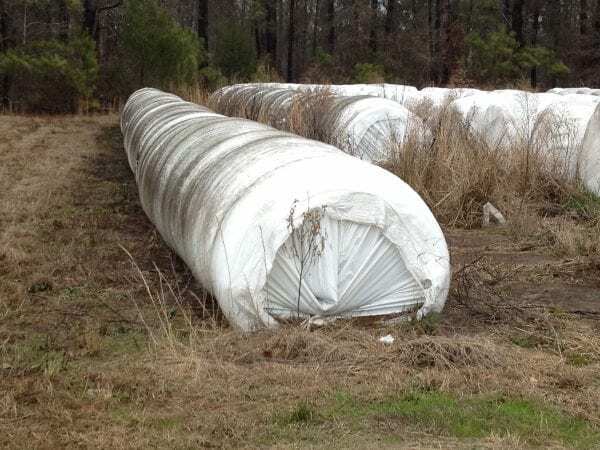 Bales that are wrapped 12 or more hours after baling suffer significant respiration losses (DM losses), are heat damaged, and typically deformed and squatty making them difficult to wrap. The ensiling process usually completes within 3 to 6 weeks, and the bales will be ready to be fed. A variety of silage inoculants are available and can be used in baleage production. Inoculants are not required for baleage production, as the bacteria needed for fermentation are naturally occurring on the plants. When baleage is produced under less than optimal conditions, use of inoculants can be helpful. However, research on inoculant use in baleage is inconsistent. Homofermentative inoculants contain primarily lactic acid producing bacteria. They can be beneficial when forage DM concentrations are lower than optimum, the forage contains low concentrations of fermentable carbohydrates, or in forages, such as legumes, that have a high natural buffering capacity. They aid in the reduction of pH in the silage and reduce the DM losses associated with acetic acid formation. Heterofermentative inoculants are a mix of bacteria, typically including Lactobacillius buchneri. These inoculants increase acetic acid production and can decrease yeast and mold growth. They will also increase the stability of baleage when exposed to oxygen during feed out. Combo (or combination) inoculants are becoming popular and combine the potential advantages by rapidly decreasing pH and providing oxygen stability. Little research is available about combo silage inoculants. There are many different silage inoculants available on the market, and their efficacy in silage production varies. Obtain research information on the efficacy of the product for your specific crop before investing in the inoculant. Remember, silage inoculants cannot overcome poor management practices, so harvest forage at the proper stage of maturity, wilt to the proper moisture content, and wrap the bales adequately to ensure an airtight seal. of baleage is to be wrapped or if there are plans to sell the baleage, individual wrappers should be considered. Regardless of wrapper style, there should be minimum 4 to 6 layers of plastic with 8 being the best choice for baleage that is going to be stored for a longer period of time. Wrap the bales where you intend to store them. Transporting bales after wrapping increases the likelihood of tears in the plastic wrap which lets oxygen into the bale. If you have to move the bales, do not use a spear. Squeeze carriers or handlers are better options, but will still stretch and tear the plastic. Make sure there is no risk of falling limbs, ground stobs, or wildlife poking holes in the baleage plastic. Regularly check plastic for holes and seal with tape. Duct tape does not make an airtight seal and will break down rapidly in the sun and should not be used. Use only vinyl tape approved for silage or baleage. Store bales for a maximum of 9 to 12 months after baling and wrapping. 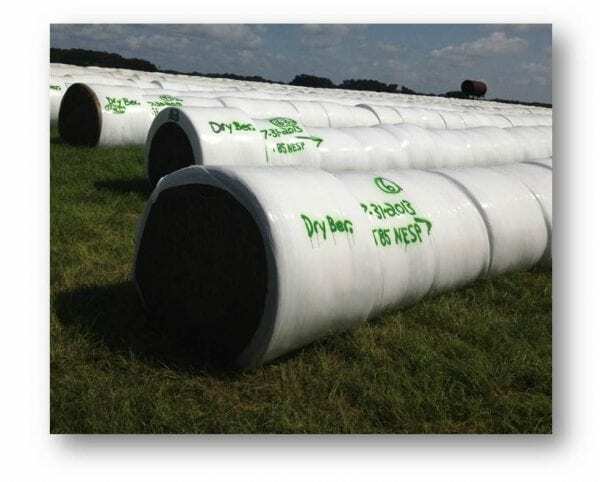 The plastic wrap degrades over time, and this can cause bales to spoil during extended storage. Bales will also lose shape and become more difficult to handle. Obtain forage samples from bales about 30 days before feeding, and immediately patch the hole. Match the forage quality with the class of livestock you will be feeding and plan for any additional minerals or supplements that will be needed. Properly fermented baleage will have a sweet, acidic smell. The pH of this baleage will generally be 4.5 or less. A sour or vinegary smell indicates that the baleage has not fermented well and has a large acetic acid concentration. This baleage is not as palatable to livestock, but is generally safe to feed. Bales that have a foul, rancid, or putrid smell indicate poor fermentation. In extreme cases when the crop was excessively wet or the silage wrap did not exclude oxygen properly, secondary fermentation can result in buildup of botulism toxin and cause livestock poisoning. If the baleage smells bad and has a dark appearance, test it for poor fermentation or botulism toxin before feeding. Presence of mold on baleage is not unusual. The molds can be of various colors, but the most common is white mold. White mold usually occurs on baleage that was baled too dry to ferment properly, but it can also occur even under proper moisture conditions. This mold is not toxic and will not cause respiratory problems. Livestock can and will consume areas contaminated with mold or will push it away for more palatable parts of the bale. Molds that are green, blue, yellow, or red indicate a problem. Baleage with any of these four colors should not be fed to livestock. There is a risk of mycotoxins that can cause animal performance issues or, in rare cases, animal death. If you are uncertain, do not feed baleage until results from a forage lab are received. Feeding baleage is different from feeding hay. Because of its greater moisture, it is much more susceptible to spoilage during feed out. Only feed livestock what they can handle in 24 to 48 hours, otherwise remaining baleage will begin to spoil. Due to the extreme heat and humidity during the summer months in Alabama, spoilage will occur even faster during feed out. Bales can be fed using hay feeders, such as ring feeders, cone feeders, or bale unrollers. Bales can also be fed in a mixed ration by grinding and mixing with a tub mixer. One of the major obstacles in producing and feeding baleage is dealing with plastic waste. Before considering baleage, producers should devise a method for collecting the plastic as soon as it is removed from the bale. Compressing the plastic into a barrel or crate can be helpful in reducing the bulk of the plastic. Currently, no recycling options exist in Alabama, so the only method of disposal is dumping into a landfill. Burning the plastic is illegal, unsafe, and not environmentally friendly. It also leaves residue that is difficult to clean. There are many upsides to using baleage as a feed option for certain operations. There are also reasons baleage is not the best feeding management practice for smaller scale farms. 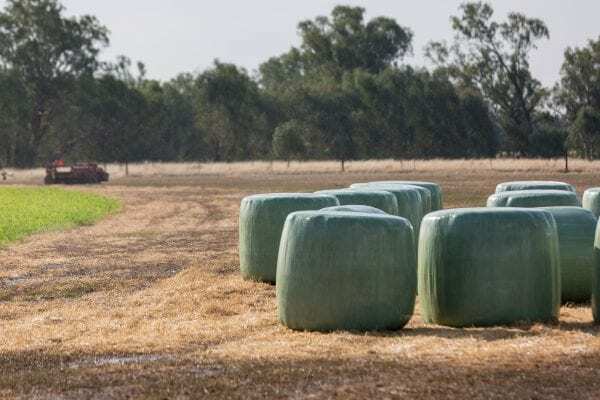 The increased cost per bale is usually a deterrent for many producers; on the other hand, the livestock are receiving a more palatable feed that they will consume more of compared to dry hay. Although they are not getting as much DM in baleage, there is less waste at the feed bunk and an increase of forage utilization. Many farmers will likely determine that baleage is not an economical choice, but for some large-scale farms, it can be. Table 1 lists advantages and disadvantages to baleage production that should be considered before investing in baleage equipment. Download a PDF of Producing & Feeding Baleage in Alabama, ANR-2511.